In this second part of our series on buying direct marketing data primarily on price, we look at the quantifiable costs and returns. We work through an example campaign using good data, and then consider the outcomes if we use cheaper data. There look like quite a lot of numbers here, but bear with it, it should all make sense. It may be obvious, but response rates do make a considerable difference to the eventual success of a campaign and vary greatly. Working with the mid range response rate, the following data is required in order to hit the target of 25 new customers: Initial design for an email or a mailer are normally quite similar. 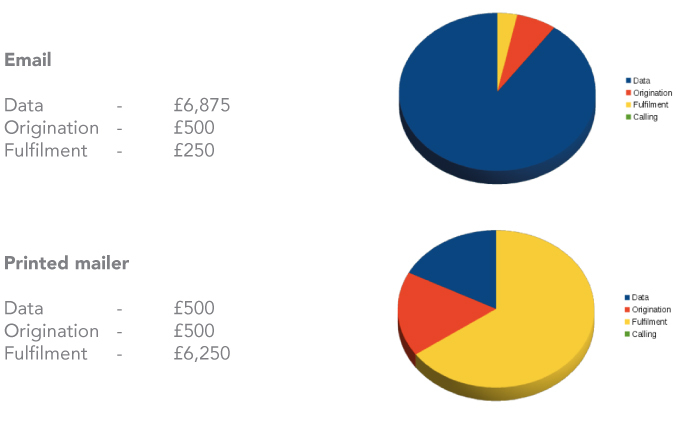 In today's market the average fee for a standard mailer would be in the region of £500. Origination of the other form of media (i.e. email if a mailer has already been produced) will be approximately 50% of the cost of the first piece. 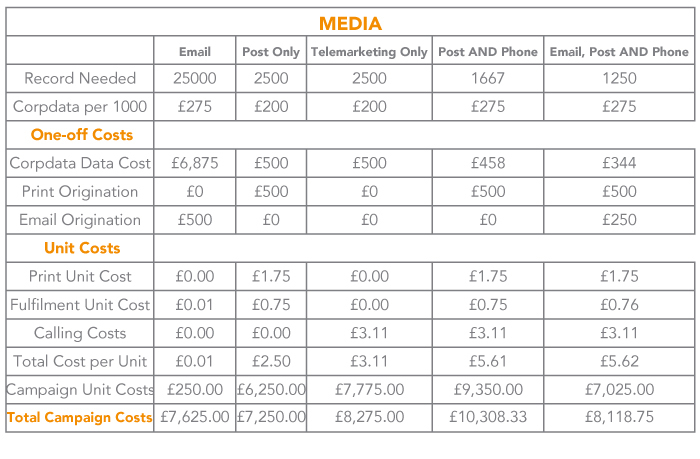 Calling cost breakdown Email - Generally speaking people are less likely to make large purchasing decisions just on the strength of an email. In fact using email as the original introduction of a product can actively weaken the perception of the brand. However, email is ideally suited to standardised commodity products, especially when promoted to a tech savvy audience. Typically emails are delivered very quickly.This means on the occasions when emails are sent with copy errors, which can happen, everyone will receive 'flawed' copy with little time to recover. Email address deliver-ability changes rapidly, and ever more sophisticated spam suppression software can reduce the actual deliverable rate below expectations. Similar to email, errors are difficult to correct once the campaign has been launched, although, it is possible to deliver the mail in smaller units. 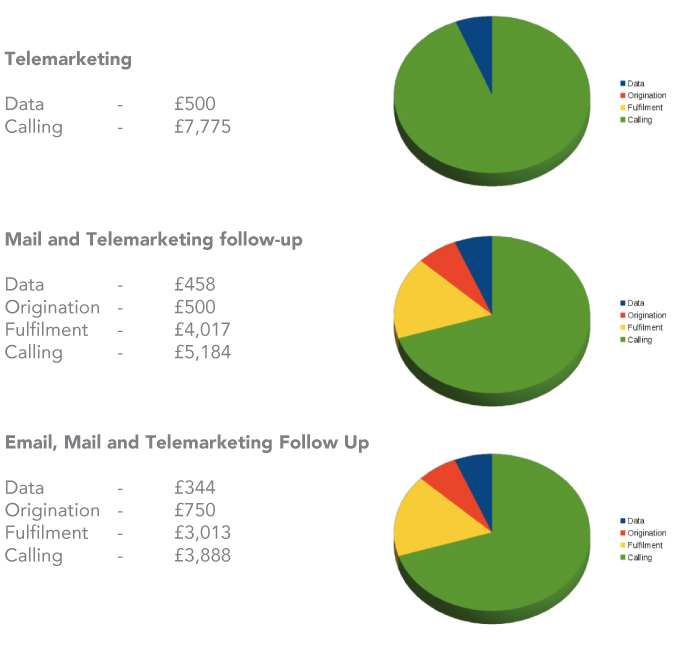 Telemarketing - The initial outlay for a telemarketing campaign is low. 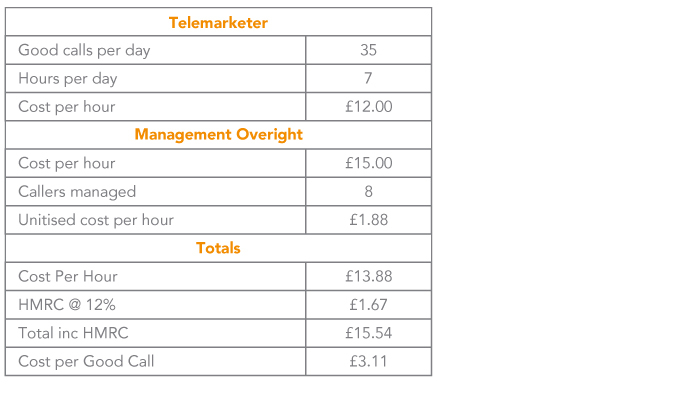 The real costs are masked in man-hours in terms of both of telemarketers and management oversight. If you have spare resources, this can be a fantastic way to create new business. The high cost of this medium highlights the importance of good quality data. Campaign costs % For an integrated campaign, telemarketing with a mail follow-up, it is beneficial to send mail just before the follow-up call. It is advisable to manage opt-outs. Although not legally binding it is wasteful to contact people who don't want to hear from you. Although not yet clarified this also may change with the GDPR. Return on Investment analysis: This example campaign shows that all the methods make commercial sense, however some are clearly better than others. Making the decision on which media to use is perhaps not as clear as one might imagine. As we have mentioned already, the data is key, not least when we start to look at the possible risks of direct marketing campaigns.Direct marketing isn't a panacea, but it can be a very useful business tool. From this hypothetical example in most cases the other costs of the campaign are more significant than the data costs.This is hidden in email campaigns, but as we will see, tends to play in the results. UK B2B Data Facts Given the volume of each of these changes, making sure data is up to date is a major issue. Here at Corpdata we believe that a research cycle of 6 months is suitable for ensuring a minimal gone-away rate. This frequency of research is time-consuming and costly, and these costs must inevitably be passed on to the users of the data. The reality is 'you get what you pay for'. 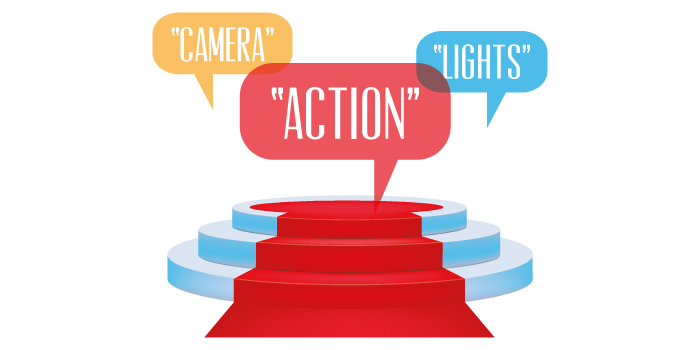 Some argue that data can be prepared once and sold many times, thus reducing the cost. Of course we already do this. 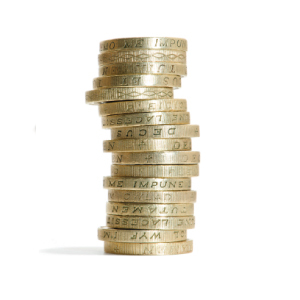 When providing bespoke projects, a cost in excess of £10 to research each record is not unusual. All reputable UK B2B data providers who research their data and manage goneaways charge similar rates. It is the cost of doing the job properly. Others claim their data is 'updated by telemarketing companies as they make their calls'. The reality here is that a telemarketing agency will simply supply call records showing which lines were dead and which connected. No insights into the organisations or information about the decision makers! The quantifiable costs of using data purchased on price. The real world is much less linear than straight forward data comparison. Taking our earlier example, we now extend it by looking at the outcomes when data, 50% cheaper than Corpdata is used delivering 50% of the result. 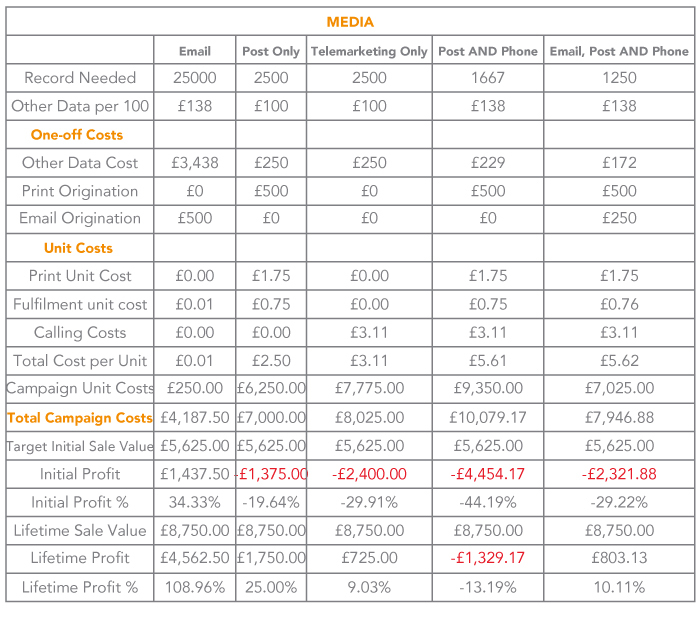 Cost analysis when cheaper data is used: At a quick glance in this crude sensitivity test, email results are seen as the least affected, whereas a fully integrated campaign is now pushed into negative ROI. As we can now see, when it comes to direct marketing, data is not only necessary,but is a 'force-multiplier'. These figures are clearly only indicative, but they are by no means unusual. Please feel free to substitute your own, your mileage may vary. In conclusion, you may feel inclined to think email is now a no-brainer in a risk sense. We would urge you not to be so hasty. Next month we will be looking in detail at some of the less easily quantifiable costs and risks of using direct marketing data purchased primarily on price. We all know that keeping things clean at work makes for a happy and productive office environment, but there maybe one thing you haven't cleaned for a while and this could be costing your business dearly – your lists! Clean data will always deliver better results . Falling Returns? Are you using clean data? How often do you tirelessly create a piece of marketing genius – be it a carefully crafted email or a beautifully designed piece of direct mail to be disappointed at a very low 'Return on Investment' (ROI) for your efforts? The temptation is to assume your handiwork is at fault, when actually the real culprit may simply be a dusty database. A low response rate might be solved by changing your content, however, you may see a big improvement in results with clean data. And you will save money in the follow on cost of your campaign, such as mailing or telemarketing. Did you know that 10,000 businesses a month change their address and contact data and over 100,000 postcode changes occur every month? There are 280,000 monthly business goneaways on average and 20,000 companies a month register on either the MPS, CTPS, TPS or FPS. These changes could impact on the reliability of your data. Regular data enhancement and cleansing can help you keep up to date with these alterations. So what is data cleansing? Data cleansing is the process of correcting or removing data that is either inaccurate or of poor quality from databases or mailing lists. The data may be inaccurate due to being formatted or typed incorrectly or it may be that addresses or phone numbers have changed, resulting in poor quality data. Regular cleansing of data ensures that the quality and accuracy remains consistent and leads to improved response rates from potential customers. This is a cleaning task that is well worth undertaking reasonably frequently For more advice on data cleansing, contact Corpdata on 01626 777400. ...after weeks, even months of preparation, the marketing campaign is finalised. With budgets utilised and marketing strategy rehearsed you will feel optimistic that your latest direct marketing project will deliver. Budget cutting - but at what cost?